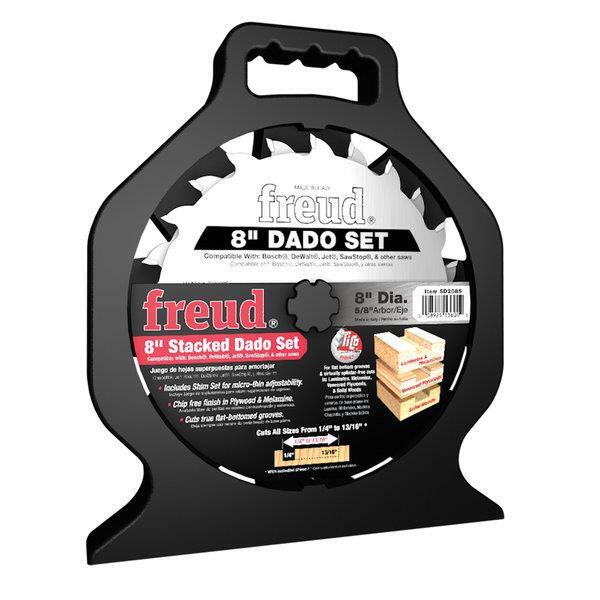 Produce dadoes on nearly any table saw with the Freud SD208S Stacked Dado Set. Specifically designed for use on under-powered saws or saws with safety breaks, this dado set with a true 8" diameter is compatible with most table saws, including SawStop, JET, DeWalt, Bosch and more. Two blades, three chippers, spacers and a shim set let you micro adjust the dado set to create 6.35mm (1/4") to 20.6mm (13/16") flat bottom grooves. The set is ideal for use with plywood, melamine and wood. Compatible with all saws, including; Laguna, Harvey, SawStop, JET, DeWalt, Bosch and more, Silver I.C.E.™ coating prevents buildup on blade surface. 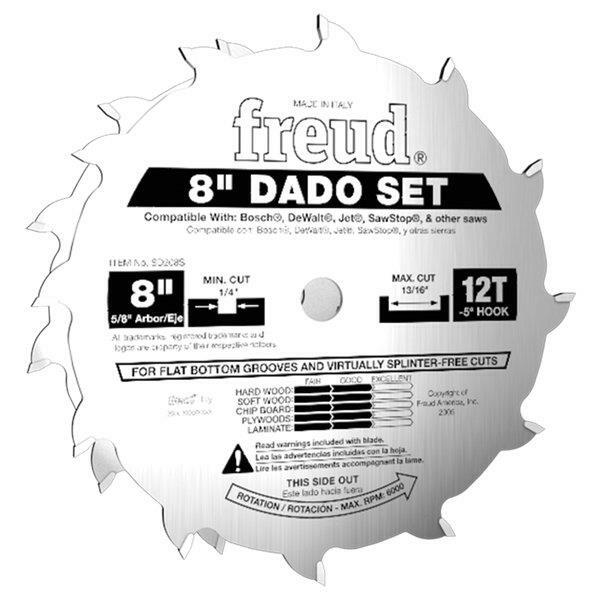 Based in Udine, Italy, Freud owns and operates its own technologically-advanced manufacturing facilities to produce router bits, saw blades and other woodworking cutting tools. Each facility is IS9001 Vision 2000 quality certified. Freud continually improves both the manufacturing process and cutting tools with industry leading technology and innovative thinking. Freud produces its own proprietary blends of carbide for different tools and applications.